Burke County, with a population of approximately 90,000 people, is comprised of seven incorporated municipalities. Each community has a unique history and charm that cannot be duplicated. Click on the links below to learn more about the communities that we call home. Burke County is situated in the section of North Carolina where the rolling hills of the Piedmont blend with the Blue Ridge Mountains. Burke County possesses a natural beauty that equals or surpasses that of any county in the south. Its appeal has been acclaimed as being representative of a rare jewel in the vast array of gems that make up the state and this country as a whole — the envy of communities across the globe. 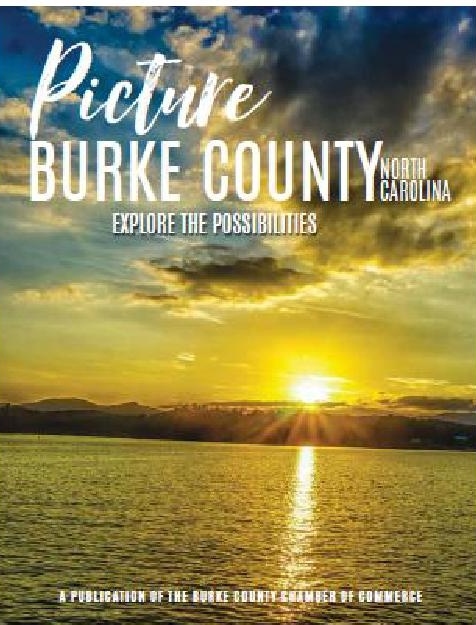 Burke County lies nestled in the Catawba Valley River basin and its beauty stretches from its majestic purple hills in the north to its green rolling hills in the south. Burke County truly is the “Gem of the South’. The City of Morganton offers big city services wrapped in small town charm. Morganton is the county seat of Burke County and its vibrant downtown is filled with restaurants, galleries, shops, parks a movie theater, and more. Residents gather on the Historic Courthouse Square during the spring and summer months to enjoy free Friday night concerts, and CoMMA, the City of Morganton Municipal Auditorium, offers wonderful shows and theater productions. Connelly Springs is a small but ever growing town located in eastern Burke County between Hickory and Morganton. The natural beauty surrounding Burke County and the small community of Connelly Springs includes the South Mountains, The Blue Ridge Mountains of North Carolina, Table Rock, Lake James, and The Catawba River Valley. Situated in the heart of Burke County at the foot of the Blue Ridge Mountains, the Town of Drexel remains one of the finest small towns in Western North Carolina. The Town of Drexel offers beautiful natural scenery, a peaceful small town atmosphere and easy access to the urban amenities of larger cities like Asheville and Charlotte. Glen Alpine was originally called “Turkey Tail” by railroad workers because of a tree located near the railroad was shaped like a turkey tail the name was changed to Glen Alpine in 1883. For more information on the Town of Glen Alpine contact them at (828) 584-2622. Hildebran incorporated in 1910 was originally known as Switch but was later changed to Hildebran after J. A. Hildebran, a lumber dealer. Fans of the popular movie The Hunger Games (Lionsgate, 2012) will recognize Hildebran’s Henry River Mill Village as the District 12 home of the movie’s heroine. Rutherford College is a small, family-oriented town where neighbors look out for each other. The town is bordered by Lake Rhodhiss on the north, and by Mineral Springs Mountain on the south in scenic Burke County. Rutherford College is conveniently located within sixty miles of both Asheville and Charlotte. The town is approximately 45 minutes from the mountains, and has access to excellent hiking, fishing, hunting, and rafting opportunities. Valdese located in the heart of Burke County is a place where a walk down the flowered brick sidewalk on Main Street takes you back to your childhood when worries were few and summer days seemed to last forever, where you can sit on a bench and watch the world go by. But just as Valdese is rich in history, it also boasts a number of exciting industries and businesses whose products are shipped throughout the country and around the world.